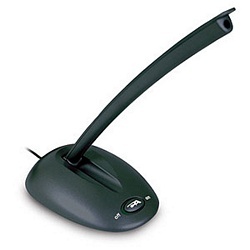 This one-directional desk mic is optimized for voice-over-IP applications. Its noise-filtering design provides outstanding voice clarity. Connects to 3.5mm audio-in jack.